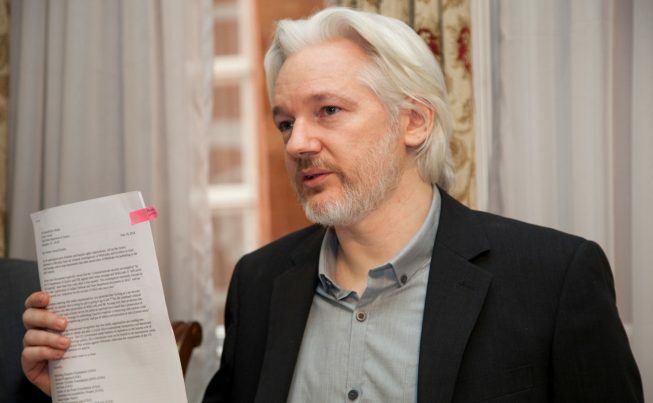 New reports from multiple sources have revealed that White House Chief of Staff General John Kelly is actively working to stop President Trump from even learning about the possibility of a deal between the United States and Julian Assange which would then allow the Wikileaks founder to provide evidence that the DNC hacks did not come from Russia. Republican California Rep. Dana Rohrabacher made a controversial trip in August to meet the infamous Assange at the Ecuadorian embassy in London where he has been forced to live for years due to literal fake charges in Sweden that were filed in an obvious attempt at hurting a man that was directly exposing some of the biggest intelligence secrets ever. To recap, a Republican Congressman has set up the possibility that Assange could provide the specific information that the Trump White House needs to destroy the fake Russian narrative once and for all. One would assume that any Trump ally, especially those within his inner circl,e would jump at such an opportunity. Unfortunately, according to reports, the presidents own chief of staff has worked to stop him from even finding out about the possibility of pardoning Assange in exchange for proof that Russia did not give Wikileaks the DNC emails.